John Elliott is a busy guy. 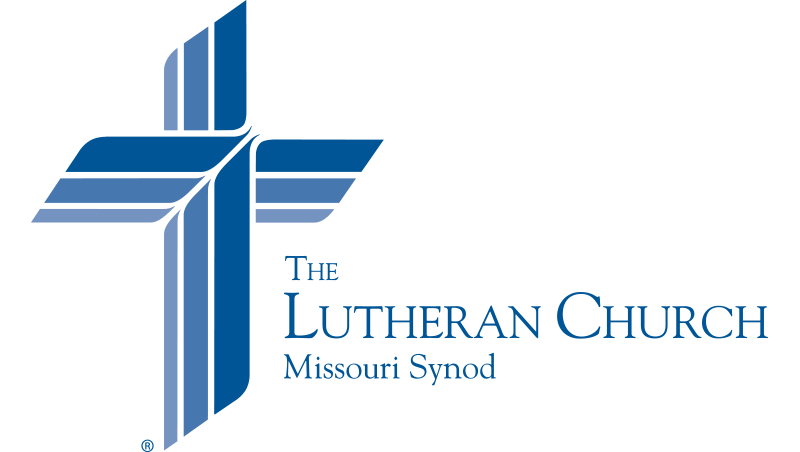 He spends his days juggling his work as business manager for the LCMS Florida-Georgia District; his studies in the Specific Ministry Pastor program at Concordia Seminary, St. Louis; and his service as a vicar at St. Luke’s Lutheran Church, Oviedo, Fla. He also serves as district disaster-response coordinator, so when disaster strikes — as it did this summer with Hurricane Irma — Elliott’s life gets busier than usual. How are recovery efforts after Irma going? : When Irma hit, a lot of insurance adjusters were in Texas due to Hurricane Harvey. This is slowing the recovery here in Florida as congregations are waiting longer than normal for insurance adjusters to work on their claim. Additionally, with Irma’s size and path, there wasn’t one part of the district that was left unaffected. This reduces our ability to source volunteers who live close to the hardest-hit areas. It will take months, and in some places years, to recover fully. The need for funds exceeds the donations, but God is providing in other ways and we are stretching every dollar. What is the most common challenge faced by churches after a natural disaster? : The most common challenge for congregations is the mindset that they have to do it all. This is a very normal reaction to have when many in your community have suffered great loss. This reaction, if left unchecked, can easily become overwhelming and then result in very little getting done. The key to providing a good response as a congregation is to find one thing that isn’t getting done in the community and work to fill that void, bringing the Gospel with you as you go. 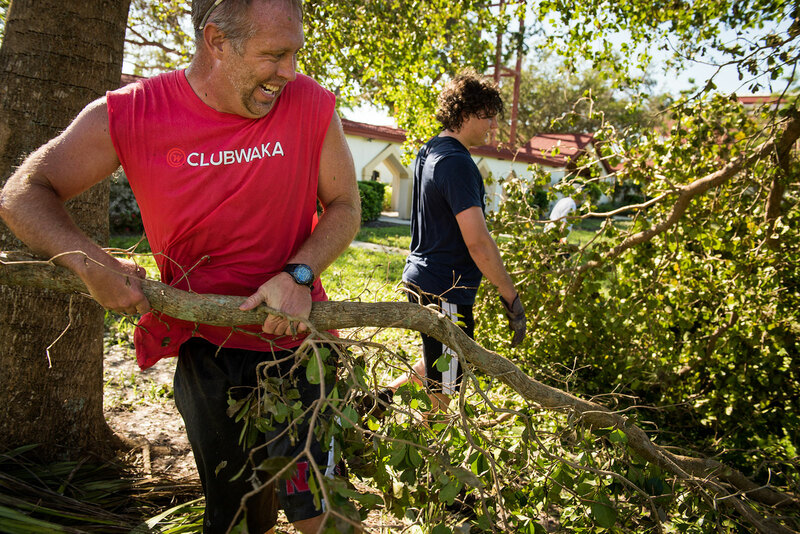 Top: Tim Richter, director of Christian education at Zion Lutheran Church, Fort Myers, Fla., and Jack Proctor, director of Christian education at Saint Michael Lutheran Church, Fort Myers, remove fallen tree branches leftover from Hurricane Irma in September. 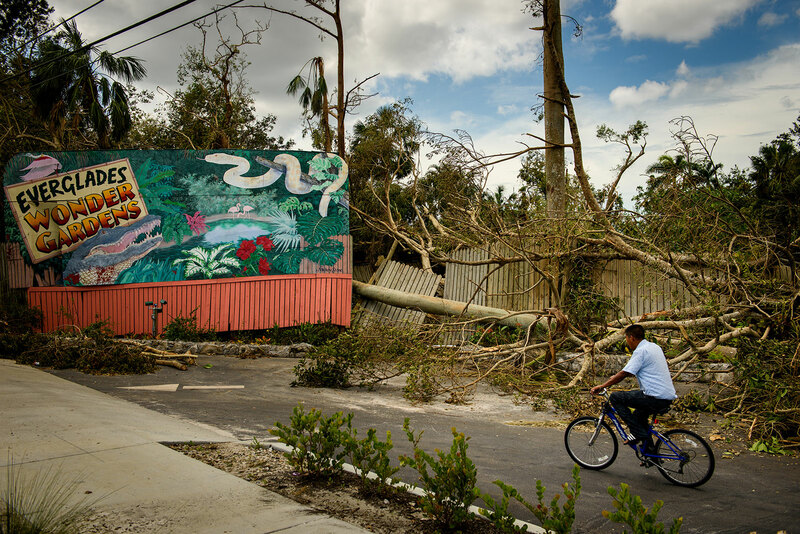 Bottom: Damage in Bonita Springs, Fla.
It’s often said that disaster response is a marathon, not a sprint. Why is this? : Disasters come in all shapes and sizes, but what is common to them is that the effects last for a long time. As we’ve seen with Hurricane Katrina, it can take years for an area to recover fully. Some psychological effects can last a lifetime. If you try to sprint through a disaster, you will most likely be overwhelmed, worn out or broken. What wisdom can you share with victims and workers struggling to stay spiritually healthy during a disaster recovery “marathon”? : Once you are past the “sprint” of the initial response, it is important to create and put yourself on a schedule. It is normal for people to try and “sprint” longer than they should. If they aren’t careful, they will create yet another casualty — themselves. By placing yourself on a schedule, you can methodically reduce the starvation of sleep, emotional support and spiritual strength. I also counsel people to look for the warning signs that they aren’t well. If you feel yourself slipping emotionally or mentally, stop, throw your pride in a dumpster and seek some help. What Bible verse sustains you when disaster strikes?